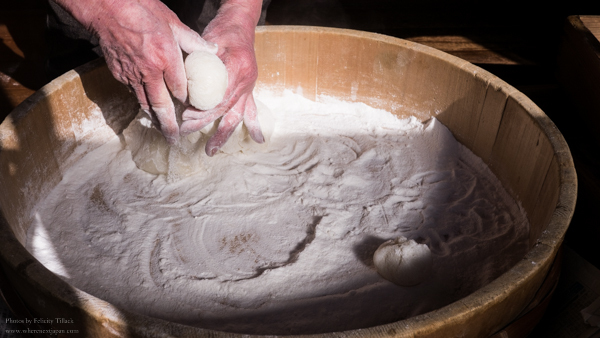 Obaachan pinches the mochi rice into dumpling sized portions, ready to be rolled. 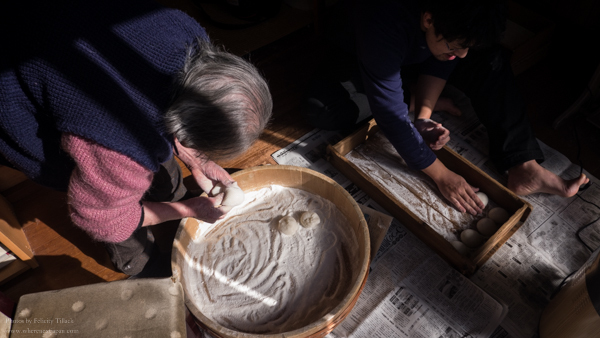 We started making mochi on the 29th, in preparation for eating it traditional New Year’s Day soup, called Ozoni. 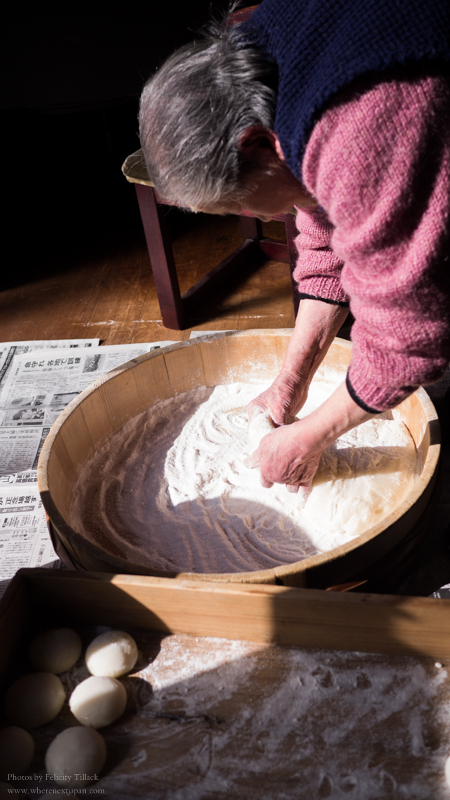 While some still pound the sticky rice with mallets and hot water, my family has a machine that does the hard work. 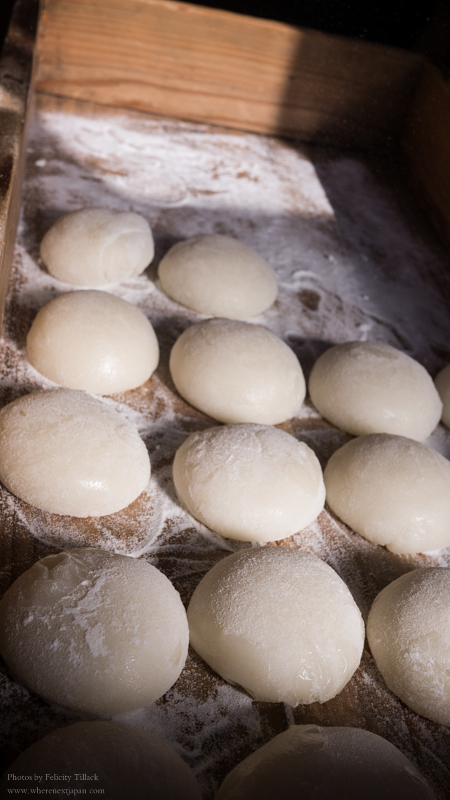 In Kansai, we have round mochi, while in Kanto usually it is rectangular. Cupping the hand over the hot rice and rolling makes a nice round shape. 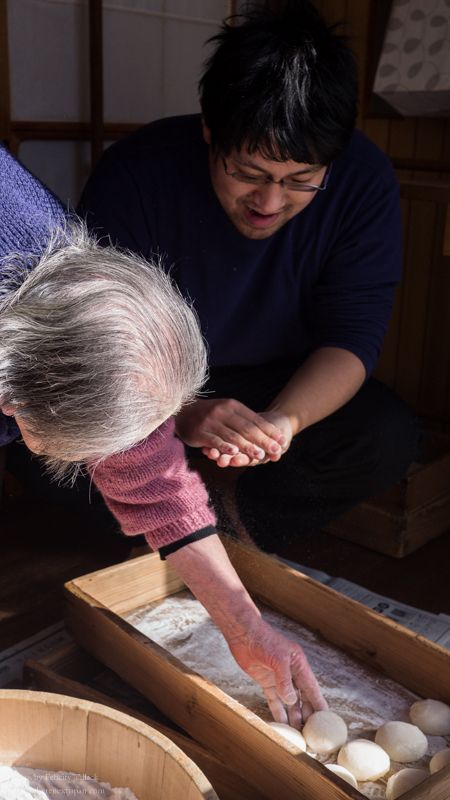 Though it takes practice to make them perfect, no matter how lumpy, or what shape, mochi is still delicious. Happy New Years! Ahhh, you lucky girl! K-chan made mochi at school this year but I STILL have yet to do it in all my time here. Happy New Year!